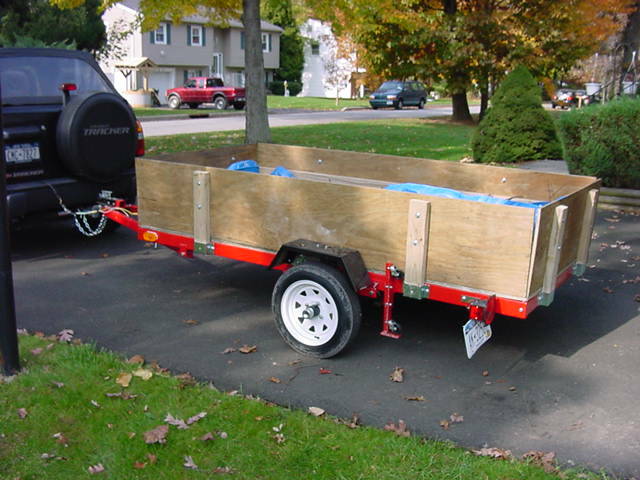 I bought a 4'x8' trailer kit... and Jimmy and I built it. 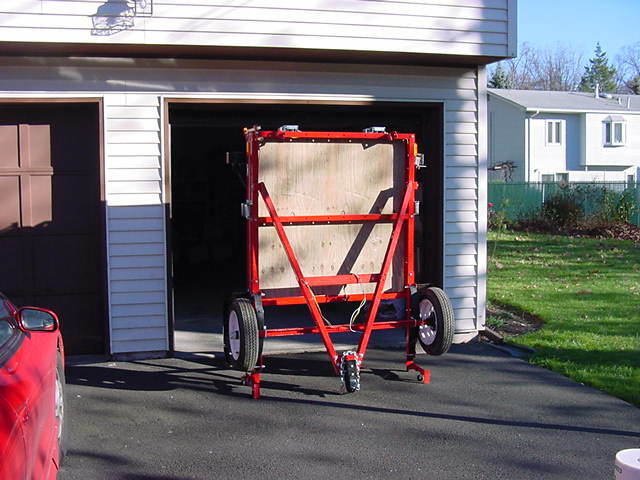 It folds in half and has casters so I can store it against the wall in the garage. Linda is happy as a pig in ummm.... she's very happy to have the trailer. We go to the town dump on mulch and compost runs. Who'd have ever thunk she'd be happy to get a hay rake!!!! Times change... people change.. hehehe! I made the sides and front/back panel with 2x4s and 1/4" pressure treated plywood ripped lengthwise. My neighbor gave me a sheet of 3/4" treated plywood for the flooring. It requires a registration and annual inspection.